Landlords have certain responsibilities to their tenants and to their rental property, but tenants have certain obligations as well. Alabama’s landlord tenant law has rules that tenants must follow when they decide to live in a rental property, such as paying their rent and keeping noise to a minimum. Learn eleven requirements of tenants in Alabama State. To Pay Rent in Full- The tenant must pay the full amount of agreed upon rent. To Pay Rent on Time- The tenant must pay the rent by the due date. Depending on the terms of the lease agreement, this may be at the beginning of the week or at the beginning of the month. Alabama code does not have any specific rules for grace periods. If a landlord allows a grace period, it must be an included clause in the lease agreement. If there is a grace period, say five days after rent is due, then the tenant can pay rent up until this time without penalty. If there is no grace period, then the tenant must pay rent on the due date or face penalty. Alabama statue does not have any rules for late fees. If a landlord will charge a late fee, it must be an included clause in their lease agreement. If a tenant pays rent after it is due, then he or she will be subject to pay this late fee in addition to the monthly rent. A tenant will face eviction for nonpayment of rent. The landlord will send the tenant written notice that the tenant has not paid their rent and that the lease agreement will terminate if the tenant does not pay their rent in full, plus any late fees, within seven days of receiving the notice. By signing the lease agreement, the tenant has agreed to abide by the terms of that lease. The lease agreement is binding. If the tenant breaches the terms of the lease agreement, he or she may be subject to fines or eviction. The tenant is responsible for following all legal clauses in the lease agreement. The tenant does not have to follow clauses that are illegal under Alabama state law, such as making a tenant responsible for paying a landlord’s attorney’s fees. Depending on the ruling of the court, an illegal clause can make the whole lease agreement void or it can just make the illegal clause void, while the rest of the lease remains valid. Building and housing codes do not just apply to the landlord, they apply to the tenant as well. A tenant has the duty to follow all building and housing codes which could affect the health and safety of the tenant, other tenants in the building or surrounding neighbors. 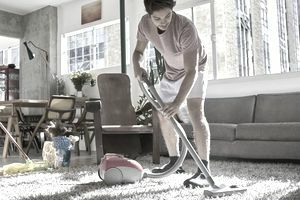 Alabama tenants have a responsibility to maintain their unit in a condition that is as clean and safe as the unit allows. An example would be not keeping flammable materials in the unit, such as a propane tank. As part of Alabama law, tenants are obligated to dispose of garbage frequently and properly. This means having proper garbage bags and trash receptacles in their rental unit and moving these garbage bags from their rental unit into the appropriate exterior garbage bins on trash collection days. Tenants must keep all plumbing fixtures in the rental in the same condition they were in when the tenant moved into the rental, except for normal wear and tear. This involves not abusing any plumbing fixtures and keeping them in clean, working condition. Alabama tenants must take care not to damage any appliances that were included with the unit. They must also use all electrical, plumbing, heating or cooling in a reasonable manner and not be abusive. Under Alabama’s landlord tenant code, a tenant cannot deliberately, or through neglect, “deface, damage, impair or remove” any part of the property or through knowledge or neglect, allow any other person to do so. The use or sale of illegal drugs on the premises. If a tenant fails to maintain the rental unit according to health and safety codes, a landlord can send the tenant a written notice. This notice will state that the violation must be fixed within seven days of receiving the notice or, immediately, in the case of emergencies. If the violation is not fixed within this seven day window, the landlord can enter the unit, cause the work to be done and bill the tenant for the work. To view Alabama’s code regarding a tenant’s obligations, please refer to Alabama’s Uniform Residential Landlord and Tenant Act §§ Section 35-9A-301-304, Section 35-9A-421(d) and Section 35-9A-422.